Personal blog of Yvo von Berg: Pipeline TD / CG Toolsmith / tools programmer. My place to share my weird experiments with code and 3D. And making virtual rollercoasters. I’m currently working on the different attachment system profiles. Prototype with two types of meshes duplicated in the Z axis based on the height of the mesh. I’m using these locations to further append extra meshes. Added a way to control the attachment detail separately of the animation detail. 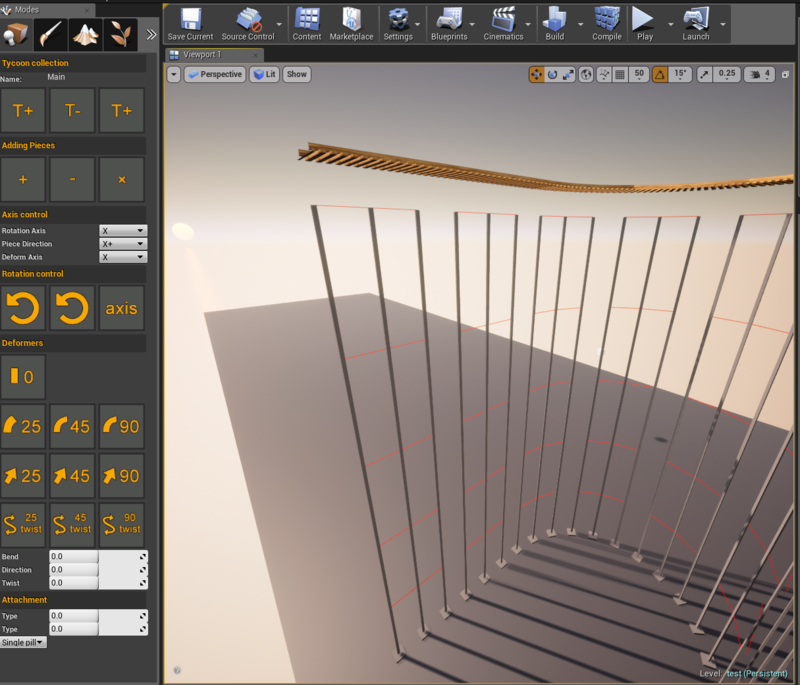 In order to make Tycoon flexible for developers, I generate an Unreal spline component based on the track.